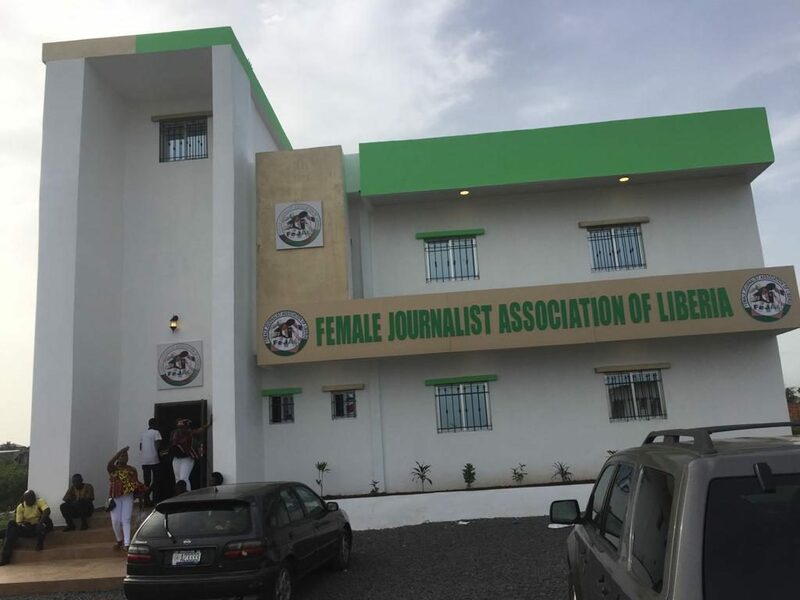 Monrovia – On Saturday a fundraising program intended to begin the construction of the Female Journalists Association (FEJAL) headquarters turned to a dedication ceremony, when President George Weah unveiled an already built headquarters for the association. It was shocking to many female journalists and guests as the program begin with formal speeches and fundraising from government officials. A film was shown as from the date the discussion between President Weah for the construction in 2016 when the President was Montserrado Senator. FEJAL president added that the dedication will not compromise the reportage of female journalists. Johnson said headquarters was a dream come through for the association and called on female journalists to remain professional and ethical. 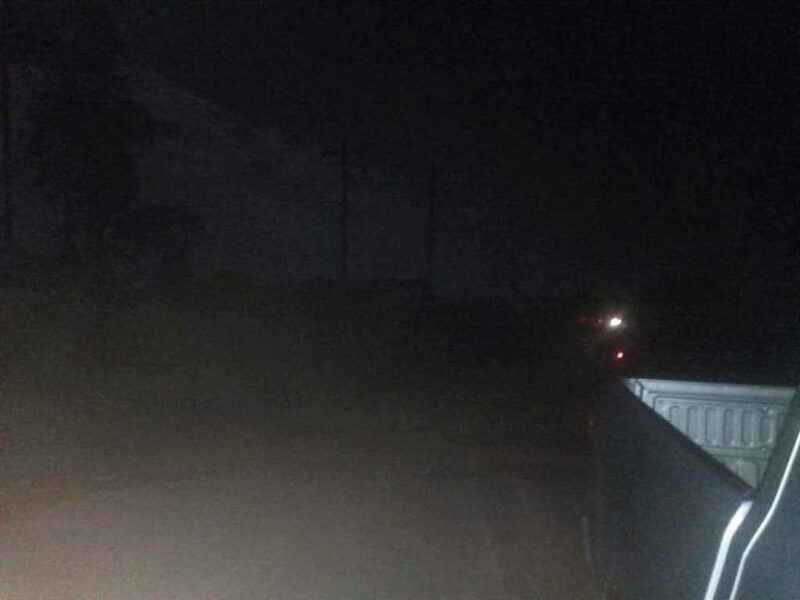 Suakoko, Bong County – Phebe hospital in Suakoko, Bong County has gone without electricity for almost one week, putting patients’ lives at risks. The Medical Director of Phebe Hospital, Dr. Jefferson Sibley, said he has been so preoccupied with finding fuel to keep the lights on that he hasn’t found time to treat patients. Dr. Sibley fears the hospital is only days away from having to shut down: “We are struggling with electricity fuel shortages. Dr. Sibley then appealed to all interested parties, to work towards immediately ending the fuel crisis being faced by the hospital. Phebe hospital needs 450 liters of fuel per month, to provide 18 hours of electricity, according to Dr. Sibley. 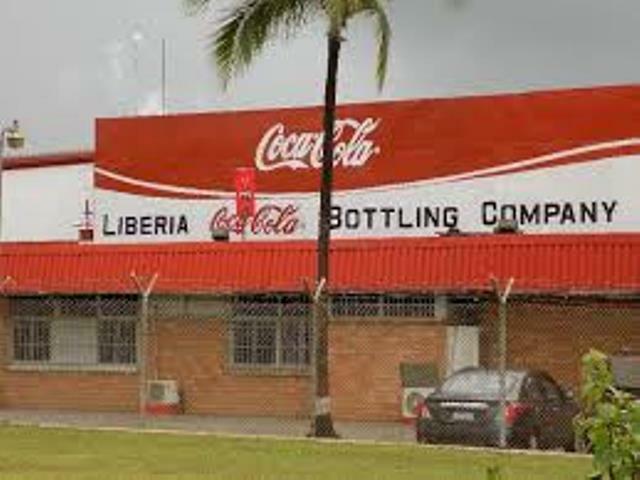 Cocca-Cola said the four had connived and conspired with criminal intent to steal and misapply its proceeds generated from sales in the tone of US$1,882,464.85Monrovia – Criminal Court ‘C’ Judge J. Boima Kontoe has dropped charges against four former Liberia Coca-Cola Bottling Company’s (LCCBC) employees. The four were taken to court on charges of “misapplication of entrusted property, criminal conspiracy and criminal facilitation.”Report by Augustine T. Tweh 00231775524647 / [email protected]George Paye, Emmanuel Tayler, Sam Oyee and Tonia Kparteh were acquitted of the charges on Wednesday, April 17, 2019. During the trial of the case, they were found guilty of the charges by the Grand Jurors of Montserrado County when they were indicted. But in Judge Kontoe’s ruling, the charges were dismissed against them base on the company’s failure to provide evidence against them during the trial of the case. “This court notes that in the prosecution’s submission of February 27, 2019 is evidence of prosecution’s incapability and inability to proceed to trial due to lack of evidence and therefore prayed the court to dismiss the indictment without prejudice to the state,” excerpt of the ruling. Bengoma’s Chairperson Hawa Keita urging Muslims and Mandingos in Bong County to reconcile their differencesGbarnga, Bong County – A segment of the Mandingo ethnic group in Liberia, under the banner Bengoma Liberia, has launched a nationwide campaign to promote peace and reconciliation amongst Muslims and Mandingos in the country. Bengoma is a Muslim but Mandingo- dominated group, aimed at encouraging peace, reconciliation and co-existence amongst Muslims and Mandingos and the larger Liberian society. The chairperson of the group, Madam Hawa Keita, said Bengoma’s recent initiative is the organization’s way of re-echoing the need for reconciliation and unity in Liberia, especially in rural communities. 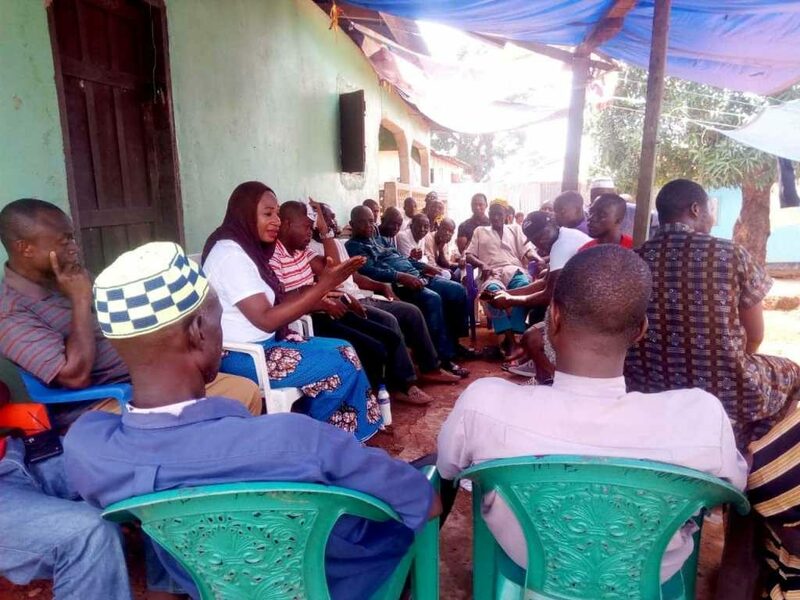 She spoke Tuesday, April 16, 2019, during a meeting with the Muslim and Mandingo community in Gbarnga, Bong County where she challenged them to focus more on building themselves through peace and reconciliation. Muka-Kamara added that peace and reconciliation is only possible if Liberians forget the bitter past and embrace a glorious future. The ex-rebel generals made the apology during a closed-door conference with Montserrado County Attorney, Cllr. Edwin Kla Martin who cited them to further explain the nature of their statement. His threats to the state and the government is wrong,” Ex-rebel general Augustine J. Nagbe alias ‘General Pa’ said on behalf of his colleagues. But slso speaking at the conference with the ex-rebels, Montserrado County Attorney Cllr. Martin also called on the Montserrado County lawmaker to do the same by coming to his office and provide clarification about his recent statements. “A root cause of the large number of pretrial detainees is the dearth of professionally trained lawyers, and lack of Legal Aid Schemes,” she said. Nyenati Tuan, on behalf the government, signed the National Legal Aid Policy on Wednesday, April 17, 2019, at a resort in Monrovia after the one-day validation exercise. Also, the Liberian National Bar Association (LNBA) provides legal aid to indigents through their pro-bono services. Legal Aid GovernanceThere will be an establishment of a governance structure with an autonomous board of directors to supervise, monitor, accredit and mobilize and manage the legal aid funds. Legal Aid FundsThere will be a Legal Aid Fund established in the budget and donors will also be encouraged to support and the fund will hold all monies allocated by the government and received from donors, as well as any contributions received from beneficiaries of government funded legal aid. The MoU relates to the use of existing rail and port infrastructureThe Government of Liberia (GoL) and Niron Metals Plc (Niron or the Company), have jointly announced the signing of an Memorandum of Understanding (MoU) regarding the passage through Liberia of iron ore from the Zogota iron ore deposit in neighboring Guinea (Zogota or the Project), a release from the African Press Organization (APO) has said. The MoU, according to the APO, relates to the use of existing rail and port infrastructure in Liberia. Niron Metals PLC is a private company established to review and capture long-term value creating opportunities in the global industrial metals and mining sector by leveraging the significant expertise, strong track record and networks of its principals. Niron aims to invest in industrial metals such as iron ore, nickel, chrome and manganese, committed to achieving the highest environmental, social and ethical standards in all its activities. The Government of Guinea has already given authorization for Niron to export material from Zogota in compliance with the Mining Code of the Republic of Guinea 2013. Best has published his first e-book, The Melting Pot: History of the Class of ’59. The book recounts the most memorable events of the Booker Washington Institute class of 1959 in riveting story-telling fashion. As such, the old “Country-Congau divide” is rendered null and void in this book – which is why the class is described as a “melting pot”. The BWI class of 1959 is a microcosm of the excellence for which Liberia’s academic system was esteemed across the continent of Africa. The Melting Pot is the first of several memoirs Best plans to release. The fashion industry in Liberia has experienced lots of hurdles ranging from little or no growth in the sector to lots of copycat fashion designers. According to the Runway Liberia founder, the event came after noticing that Liberian fashion designers were not much a lot in the African fashion industry. “Liberia’s fashion industry is far behind its African counterparts, but we are working to change the situation. Today, due to Mrs. Kennedy’s passion and love for Liberia’s fashion, she has received several honors including being named the official representative for World Fashion Week (WFW) in Liberia, and ‘Fashion Icon Facilitator from ECOWAS Fashion Week. The event last week was covered by African Fashion TV, Studio 24, Glamour Magazine, all fromNigeria and Deamina Magazines and Italy. 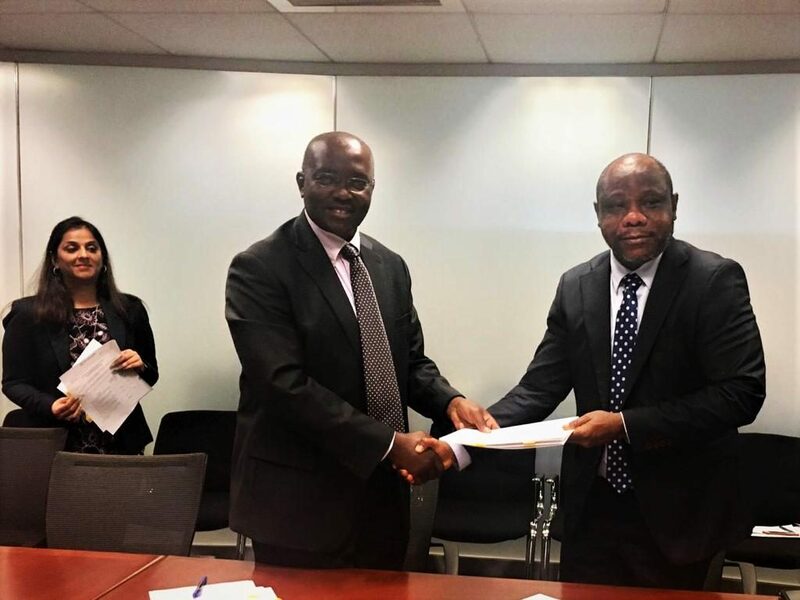 MONROVIA – The World Bank and the Liberian Government have signed the Youth Opportunities Project (YOP) Additional Financing (AF) Grant Agreement of US$1.5 million to provide additional support to youth under the Productive Public Works component of the YOP. World Bank Country Director for Ghana, Liberia and Sierra Leone, Dr. Henry Kerali and Minister of Finance and Development Planning, Hon. Samuel Tweah, signed the Agreement in Washington, DC, during the Spring Meetings of the World Bank Group and International Monetary Fund. The signing ceremonies were attended by members of the Liberian Government delegation and the World Bank Country Manager for Liberia Larisa Leshchenko. Given the success of the original YOP, the Swedish Government committed to support the project with an additional financing of US$3.5 million. 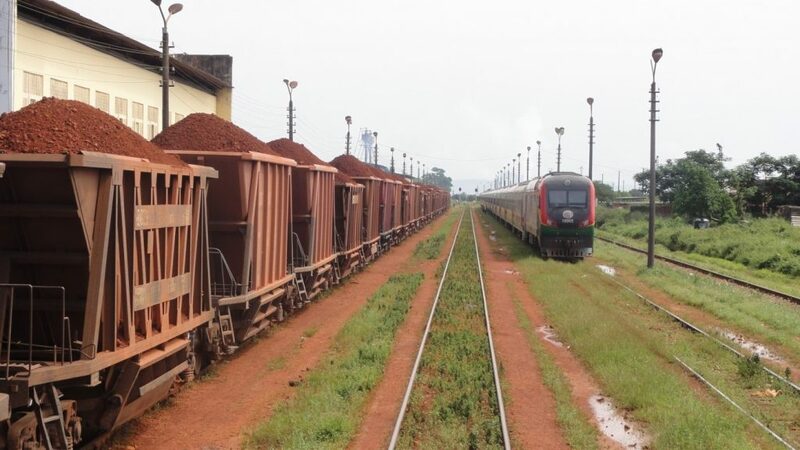 MONROVIA – Liberia’s rails and port facilities would be of major significance for the export of Guinea’s iron ore mined from the Zogota iron ore deposits by Niron Metals Plc – a mining company in Guinea. Permission to use the country’s facilities were granted through a Memorandum of Understanding between the Government of Liberia and the mining company. Thereafter we anticipate accelerated tripartite discussions to commence,” said the Chairman of the Liberian National Investment Commission, Molewuleh Gray. Sir Mick Davis, Chairman of Niron said, “This MOU is an important milestone in our plans to develop the Zogota project. Gray, Chairman of the National Investment Commission, Samuel D. Tweah, Minister from the Ministry of Finance & Development Planning with their signatures attested by Cllr. Stakeholders of Water Producers, flanked by their President Yvonne Boyd (female) condemn the management of Liberia Water and Sewer Corporation’s decision to place meter on their privately-owned wellsMonrovia – Water producers in Monrovia have warned that they will be constrained to increase the price of a sachet (a plastic bag) of water from L$5.00 to L$25.00 if the Liberia Water and Sewer Corporation (LWSC) place a charge on their privately owned (wells) boreholes. It establishes a regulatory agency for the water supply and sanitation sector that is responsible for regulating tariffs, licenses and service standards in Liberia. Apparently, in line with the act, the Liberia Water and Sewer Corporation (LWSC) has begun installing meters at private commercial wells and boreholes in order to bill them. The water producers, under the banner, “Stakeholders of Water producers addressing a packed press conference on Wednesday, April 17 condemned the LWSC’s decision and called on its management to remove all meters from their wells or they will remove themselves. Meanwhile, FrontPage Africa contacted the communication officer of LWSC, Nimpson Todd for comments on the water producers claims, but Todd said he could not respond immediately as he was attending to his ill daughter at the hospital. Due to the shortage of drugs to treat patients at the Ganta Leprosy and TB Rehabilitation Center in Nimba County, the number of Buruli Ulcer cases have reached 300. Buruli Ulcer is an emerging infectious disease and is the third most common mycobacterial disease of the immunocompetent host after tuberculosis and leprosy. On the tour of the center on April 17, 2019, the Officer-in-Charge of the hospital, John Saa Brimah, said the government stopped supplying the treatment drugs for the illness since July, 2018. “We are receiving patients here everyday, but we do not have the required drugs to treat them,” he said. “Those who cannot afford the cost had left, but they eventually ended up losing their lives,” he added. 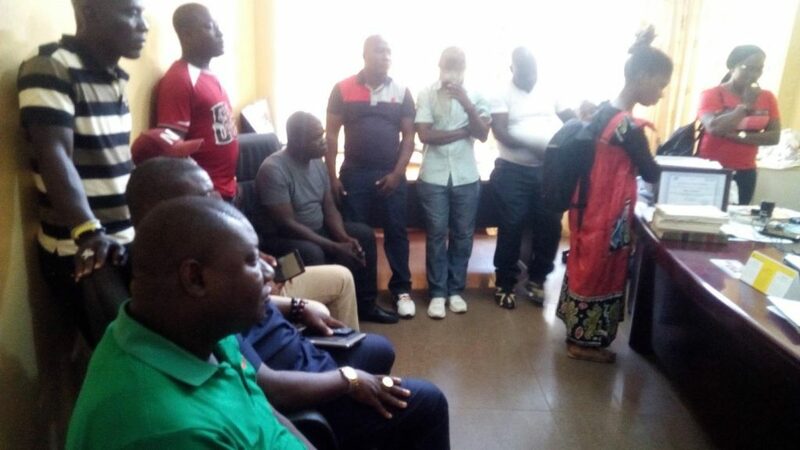 Though no one, not even a police ever ventured to arrest Rep. Kolubah, his supporters, who turned out in their numbers, maintained their positions. Dressed in his full UP attire, Paye had gone to Kolubah’s residence to join hundreds of fellow supporters and warn the Coalition for Democratic Change (CDC) government against any plot to arrest or impeach the lawmaker. “The CDC government wants to prosecute Rep. Kolubah, because he has identified with the opposition community. Hundreds of people, mostly the youth, gathered at Kolubah’s residence in protest against any attempt by government to arrest him to answer to whatever charges. Several of Kolubah’s supporters said they were prepared to give their lives yesterday in a bid to prevent the arrest of their Lawmaker. A long standing land dispute between the leadership of the World Sanctified Cathedral facilities and a Lebanese national took a dramatic turn on Wednesday, April 17, 2019 when students of the World Sanctified High School (WSHS) staged a “peaceful protest” demanding authorities of the Ministry of Public Works (MPW) to re-enforce the zoning law. The alley is the only access the students, parents and the churchgoers use to enter the Word Sanctified facility, but it has been blocked reportedly by one George Nheme, a Lebanese businessman. The facility includes the Word Sanctified Cathedral of Faith and a school situated just behind the JAC car depot, adjacent to the Old Susan Berry Compound, opposite the newly constructed ministerial complex. She said closing the alley will deny them access to education, which will prepare them for the future. World Sanctified Bible Cathedral Bishop, J. Maxwell Seh, said there are Deeds that showed the construction site in question is an alley on public property.